The College today boasts of a spacious campus and an esteemed faculty of scholars trained at leading universities. Each student seeking admission in the College has to accept the condition that the College reserves the right to deny admission to any student without assigning any reason whatsoever. The College further reserves the right, as approved by the College Authorities, that no student who has been found guilty of gross misconduct/indiscipline or against whom any inquiry is pending for gross misconduct/indiscipline shall be admitted to the College in any year of study. As per Kashi Naesh Kashi Vidyapeeth, at the time of admission every student shall be required to sign a declaration that on admission, he/she submits himself/herself to the disciplinary jurisdictions of the Principal and other authorities of the College who may be vested with the authority to exercise discipline, the Statutes, the Ordinances and the Rules that have been framed there under by the University and the College. Thus, while the College authorities have a tradition of tempering firmness with a reformative approach, punishment for misconduct/indiscipline, ragging and eve teasing, may include expulsion from the College and rustication from the University. In the past, the authorities of the College has not hesitated to recommend such extreme forms of action. Such an undertaking on admission is to be counter-signed by the parent/guardian of the student. The application form shall be filled in completely, duly signed by the applicant. If any incomplete, wrong or misleading information is provided by the applicant, his/her admission could be cancelled. The decision of the College regarding admission shall be final. At any stage, the College may stop receiving applications for admission to any of the courses without giving any prior notice. All information concerning the admission process will be displayed on the College Notice Board from time to time. 1. The admission to various Under-Graduate & Post Graduate courses will be subjected to the number of seats available and will be done on the basis of cut off list and eligibility criteria which will be displayed on the college Notice Board as per the admission schedule. 2. The applicant should satisfy himself/herself regarding fulfilling the criteria in every respect. Students who fulfill the eligibility criteria can seek admission as per the admission schedule. 3. Candidates who fulfill eligibility criteria as laid down for admission to the College should purchase the admission form from the college office and than contact the respective Department Representatives in the room notified( on the college notice board) with the following original documents. The Forms duly completed should be handed over to the teacher along with following original documents (plus an Attested/self attested copy of each). i. 10th and 12th Class Certificate/Marksheet as proof for Date of Birth. ii. For Post Graduation, Mark-sheets of all 3 years of degree. v. SC/ST Certificate (in the name of Candidate) for SC/ST Candidates. vi. OBC (Non-Creamy Layer) Certificate in the name of the Candidate (For OBC Candidates). The applicant should proceed to the Accounts Office and wait for her/his turn to deposit the fee. The fees should be paid in cash on the same day. 4. For Gap years cases, The college does not allows admission until and unless seats are available after normal admission. And if seats available then Students must submit an Affidavit declaring that they have not taken admission in any College or University and they have not failed in any course. They have to produce this affidavit within two working days. Otherwise their admission will be cancelled. 5. The students of KNPG College who have failed or dropped out will not be admitted in the same course again. 6. The applicant should personally present herself/himself to the Admission-in-charge, at the time of admission. However, in very exceptional cases, she/he should get the permission of the Conveyor, Admission Committee in writing, stating reasons for her/his absence and authorizing someone to secure admission on her/his behalf. 7. 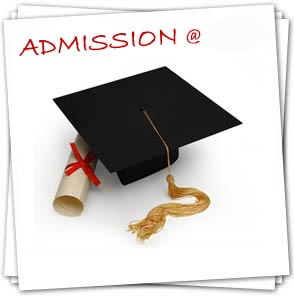 All admissions will be provisional and subject to confirmation by Mahatma Gandhi Kashi Vidyapeeth, Varanasi. For more You Must Read Booklet Provided by The College in office. Admission based on proficiency in sports and extra- curricular activities may be done subject to a maximum of 5% of the number of students admitted to the first year of under-graduate & Post Graduate courses. 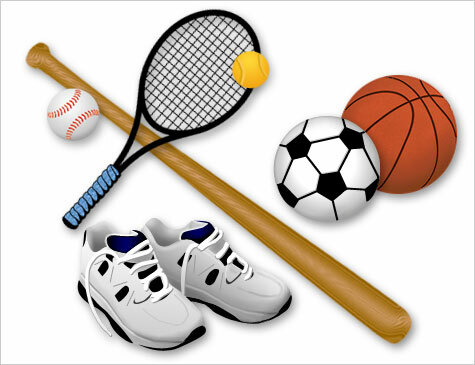 Admission of students based on sports will be finalised by the College on the recommendation of a committee designated to oversee all affairs relating to sporting activities in the college, namely the Sports Committee. We, at KNPG College believe in the holistic development of our students. We recognize and respect the fact that academics are not the only parameter in judging a pupil and extra-curricular activities play an equally important role. We therefore invite talented students who have excelled in music, dance, dramatics, fine arts or have a flair for creative writing or debating to apply for seats earmarked for them. Candidates who wish to seek admission should fill up the ECA Admission Form available in the college office. Candidates short listed on the basis of trials are called for an interview by Cultural Committee. They are ranked according to their performance and previous achievements, as verified by their certificates. Candidates are then assigned any of the subjects they have prioritized, as per merit. 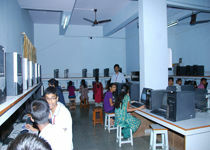 The College also provides 'O' level computer education facilities for students as a optional subject from the academic year 2000-01. Desired students have to pay 6 months advance fees and after that 3 months fees at the rate of Rs.120 per month to study. Exaination fee will be not be included in the study fee, students has to pay the additional exam fee at before the examination as per instruction by the notice board or respective faculty. Priority to have admission will be given to first year first, then if in case seats are available for this then the other second and third year's students will have opportinuty to learn this. The College also provides hostel facilities for students coming from distance places and for backward class students. Namely 'Aaryabahatt' and 'Bhaskar' are two hostels developed by the government for the students of KNPG College. Admission in hostel given by the college oneducational performance, character and distance (Min. 25 KM) from home of the student. Student have to fill the form for the adission which is vailable in the college office. The decision of the Principal regarding admission in hostel shall be final. Bachelor student will have reservation of two percents (02%) of the Admission Marit List. (05 Marks) will be given while admission. (10 Marks) will be given while admission. Handicape students will have reservation of two percents (02%) of the Admission Merit List. NOTE : MAXIMUM SURCHRAGES WILL BE 25 MARKS ONLY, IF IN CASE YOU HAVE ALL CERTIFICATES TOO.